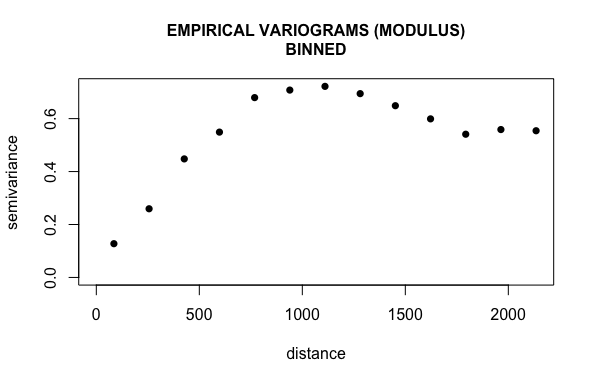 I am having problems fitting a variogram model. I tried to change some parameters to estimate or fix them but I am still not achieving any improvement. I remove trend of the data and use logarithms because of the asymmetry of the data. 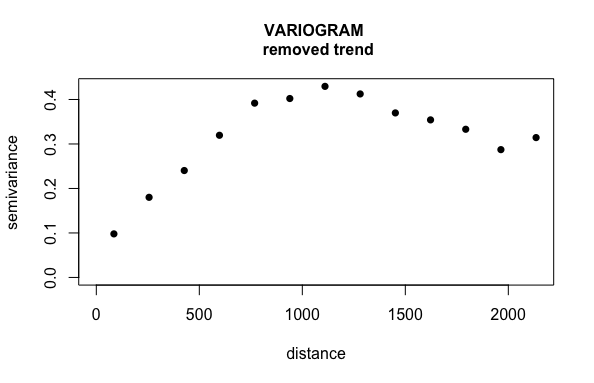 There is some way to improve estimations and get a better fit for the variogram? Browse other questions tagged r likelihood spatial function variogram or ask your own question. How do you interpret this variogram?